Pantone is a standardized color matching system, or PMS. There is a numbering system for Pantone colors ensuring manufacturers will produce exactly what their customer is looking for. Pantone colors have specific codes allowing clear communication, guaranteeing the color will be correct. The formula developed by Pantone is a spot color. This means that the color is created from a palette of 18 basic colors. Process colors are CMYK colors, the color is determined by cyan (greenish-blue), magenta, yellow and black. There are more Pantone colors because not all colors can be mixed in CMYK. Pantone colors are used with digital printing. We print using Pantone coated colors, which results in consistent color matches. Green, but which green? There’s no confusion with Pantone colors. Most importantly, it’s still the expertise of the digital printer that can assure you the colors that you expect. It is important to choose a reliable flag company when top-quality printed flags is a priority. 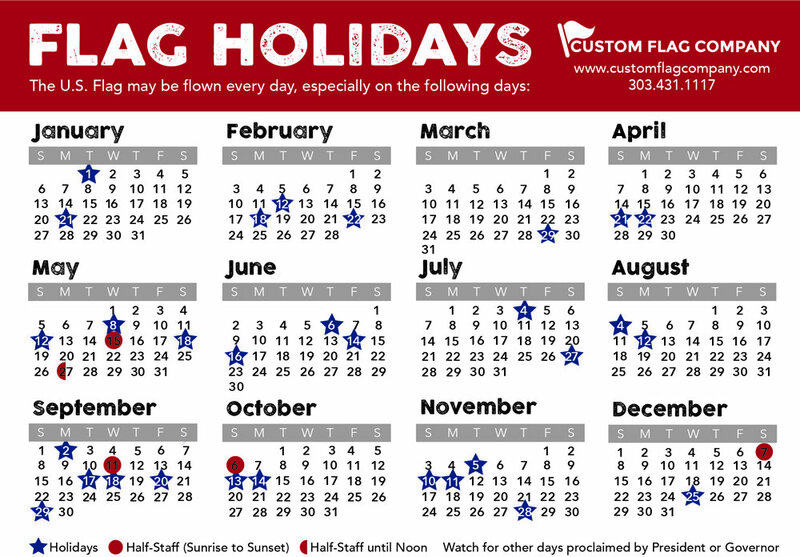 The team at Custom Flag Company is committed to providing the best custom flags in the industry. Call 303-431-1117 to discuss your project or complete this form. Posted on January 30, 2019 by Maddi Griebling and filed under Custom Banners, Custom Flags.